I have been testing out a skincare line that’s new to me and fairly new to Canada. It actually launched in Canada on October 1, 2016 so it is pretty new to the Canadian market. I have been using the cleanser, toner, moisturizer, eye cream, and overnight mask. I love that belif uses the highest quality natural raw materials and herbal remedies – this is right up my alley. I find that the older I get, I am attracted to skincare that is simple and pure. I don’t need the fancy packaging. What is more important to me is what is inside the packaging. 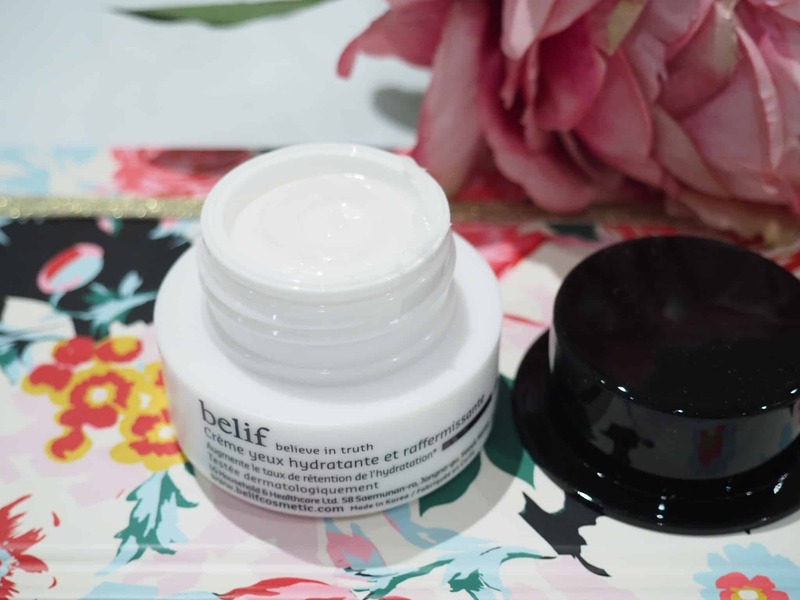 I love that belif products are free of synthetic dyes and fragrances. I hate when creams are heavily fragranced that it is over powering. Although I love perfume, I don’t necessarily want it on my face. 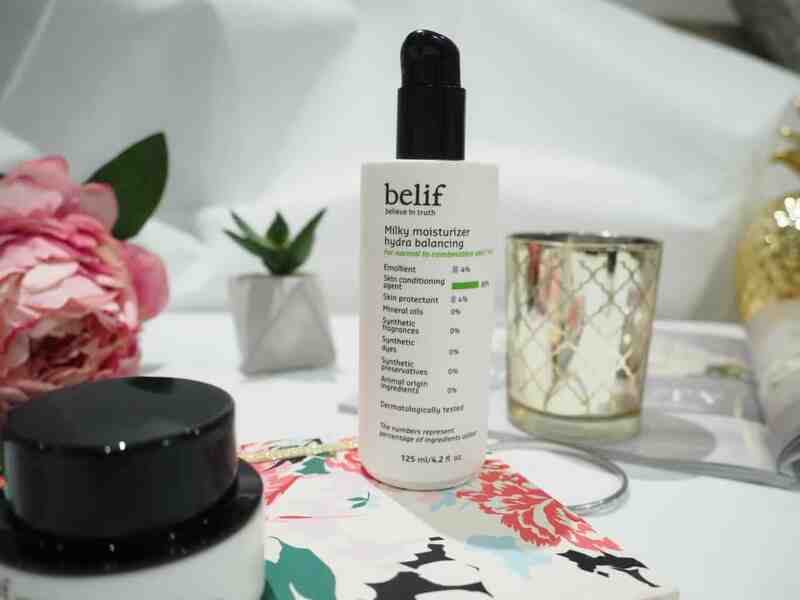 Inspired by 19th-century apothecary techniques, belif offers a unique range of products that follow Korea’s intricate skin care regimen. Each effective formula uses the purest of ingredients powered by modern skin science and traditional herb processing methods. This foam cleanser is formulated for normal to dry skin. Although my skin is more combination – with winter here it did get a bit dry so this was a good fit. This is a creamy foam cleanser packed with vitamin-C and natural herbs. It is a gentle cleanser that effectively removes all of my makeup without making my face feel stripped and dry. This luxurious cleanser is a unique blend of time-tested apothecary herbs that are rich in vitamin C: wormwood to prevent breakouts, soapberry to detoxify, and sweet flag to cleanse and soften. These botanical ingredients are effective, natural, gentle, and non-stripping cleansing agents. Ideal for normal to dry skin, the creamy lather immediately removes impurities while respecting skin’s natural moisture barrier. This toner is formulated with bergamot and sage to balance normal to combination skin, leaving it hydrated, soothed, and balanced after cleansing. It is best for normal to combination skin. This botanical toner features a unique gel-liquid format designed to hydrate and balance normal to oily skin to create an even and deeply moisturized complexion after cleansing. The skin appears supple and revitalized over time. This toner is very pleasant to use. I found no stinging or irritation. You know how some toners leave your skin feeling stripped or a bit dry – this toner does not do that at all. A lightweight, milky moisturizer with sage extract that leaves skin hydrated, balanced, and soothed. This milky moisturizer freshly hydrates skin with its unique blend of time-tested apothecary herbs, including nourishing sage and molokhia extracts, rich in antioxidant polyphenols and minerals, which help to prevent dryness and leaves the skin balanced and soothed. The formula leaves skin dewy and supple. This is a light moisturizer that absorbs quickly into the skin without any oily feeling. It does give my skin that dewy, healthy glow that lasts all day. 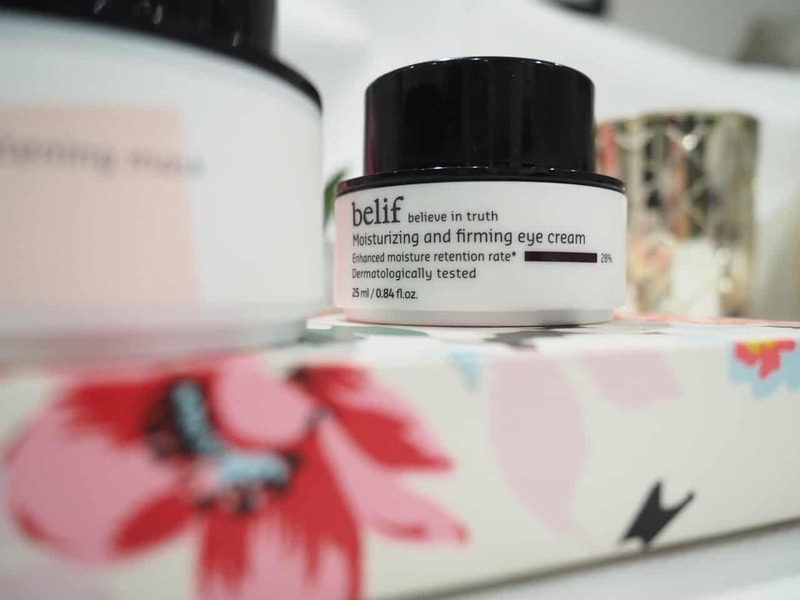 Belif’s Moisturizing and Firming Eye Cream provides long-lasting moisture as well as firms the eye area. This eye cream absorbs super easy and wears well under concealer. It actually helps concealer apply more evenly without having that crackling – you know how some concealers just sink into your skin and give you the appearance of wrinkles and crackling around the eyes that you never had before, this eye cream helps prevent that allowing the concealer to apply more evenly – no one wants added crackling to the eye area! If you want an even and radiant skin tone then this brightening mask is for you. 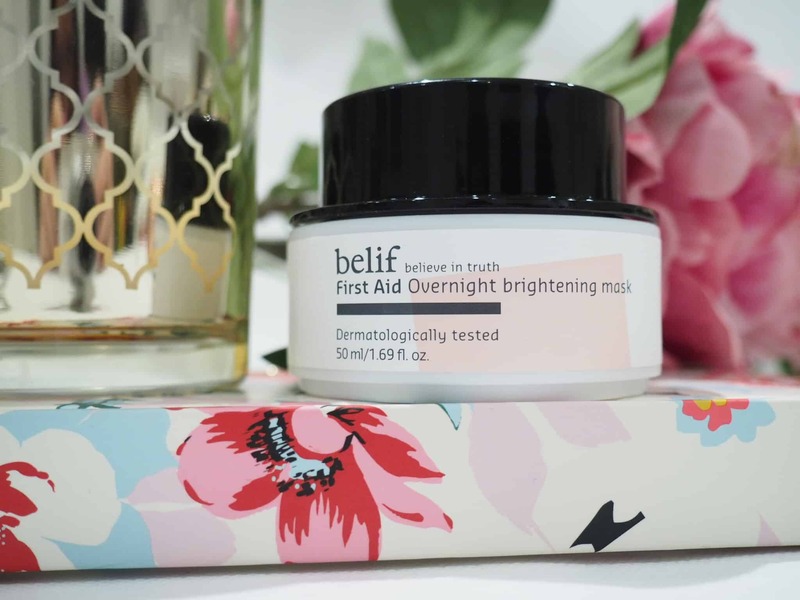 This brightening mask can be left on overnight to reveal radiant skin by the morning. This brightening mask is formulated with black truffle extract, one of the world’s finest delicacies, and visible capsules of amber, pearl, and gold powder to awaken instant and visible luminosity. 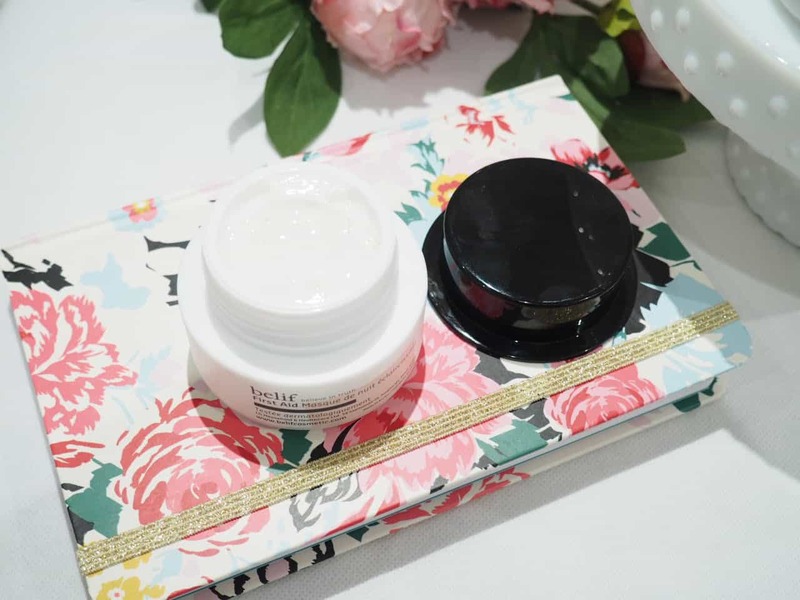 This versatile mask can also be used instead of a moisturizer in your usual skincare routine to give an additional boost of hydration and brightness to skin. I use this mask about 3 times per week before bed after washing my face. I find the formula extremely nourishing, light, and not sticky at all. In the morning my face looks bright and fresh, giving me that healthy glow that normally winter tends to dull. The packaging of all the products is a simple white, crisp, clean look. The packaging clearly states all the ingredients that are in each formula (and the ones that aren’t). belif products are available at The Face Shop and on the belif website. They have a cute Travel Kit special available for $19 CAD (normally $37). 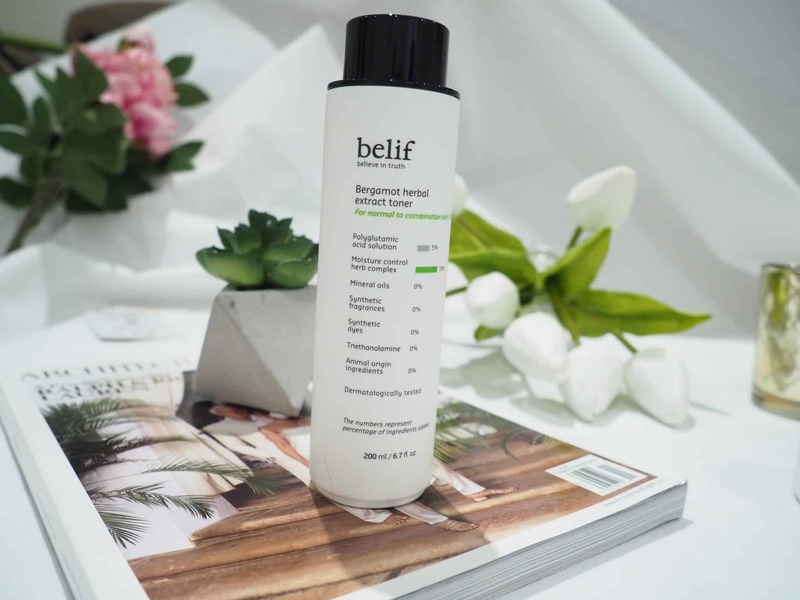 It contains 5 travel-ready products of belif’s bestselling foam cleanser, refreshing toner, skin-lumizing essence, firming eye cream and moisturizing facial cream. Are you a belif-er? 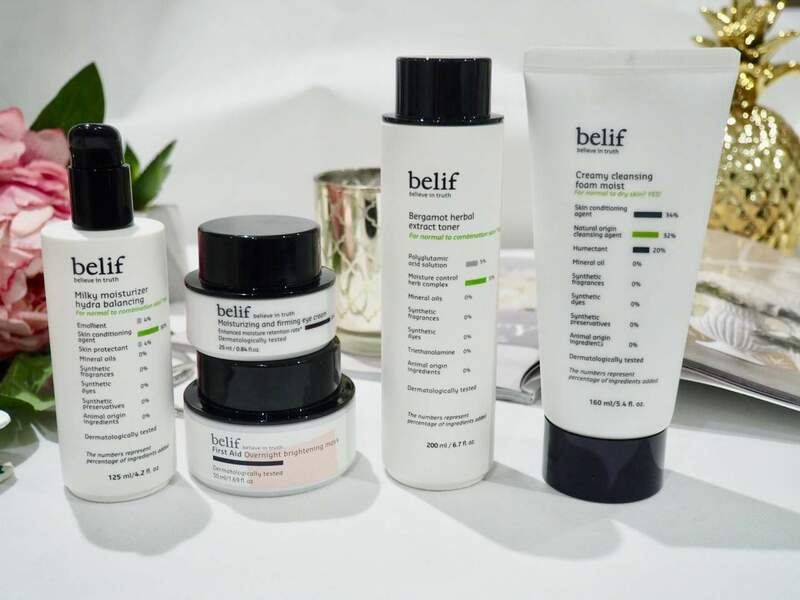 Have you tried any of the belif skincare products? Thank you – You will love the brand.